Women who consistently ate at least one serving of fatty fish each week for a period of about 10 years developed rheumatoid arthritis at half the rate of women who ate little or no fish. The researchers say the results held up even after taking lifestyle factors into account such as how often people smoked or drank alcohol. Researchers speculate that omega-3 fatty acids, the healthy fat in fish, has a protective anti-inflammatory effect on the immune systems of the women who ate more of it. Rheumatoid arthritis is a chronic condition in which the immune system mistakenly attacks the body's joints. It can trigger pain and eventually destroy cartilage and bone. It's much more common in women than men. When it comes to overall health, experts recommend people eat two servings of seafood – either fish or shellfish – each week. "This study is an additional argument to follow that recommendation and to make one of those servings fatty fish," says study author Dr. Alicja Wolk, Professor of Nutritional Epidemiology at the Karolinska Institute in Stockholm, Sweden. Though the study shows promising results, there are a few caveats. The population in the United States and in many parts of the world is more diverse than Sweden so the results may not be the same elsewhere. Also smoking is known to be a high risk factor for rheumatoid arthritis and though it was controlled for in the study, sometimes it's hard to measure accurately. Taking fish oil supplements instead of eating fish did not appear to help prevent rheumatoid arthritis. Wolk says this was because there were so few people taking supplements, making it hard to come to any definitive conclusions. Overall, the study was well done and the results are encouraging, says Dr. Jef Lieberman, Rheumatologist and Adjunct Clinical Associate Professor at Emory University in Atlanta. "I would recommend to patients that one to two servings of fatty fish a week may have some preventative effects on rheumatoid arthritis and should not have any significant downside," says Lieberman. But both Wolk and Lieberman say: Eat fish in moderation. "The message is not that you need to be eating fish every day," says Lieberman. "The message is that modest amounts of freshwater or fatty fish may have some potential benefit." Salmon tends to be quite low in terms of mercury content. You would have to eat a hell of a lot of it to get mercury poisoning. All of the food is poison. You just have to do the best you can based on wherever you are on the planet. Farm raised salmon is loaded with toxins from the conditions it lives in. Also, lots of artificial color to give the color similar to wild salmon. Wait for the frankenfish, it is coming up soon. FDA is approving it! Next week, it will be an article claiming that fish is bad for you and fatty omega 3 acids will kill you right on the spot. Then, the following week, the cycle of food fear mongering will continue. Just eat in moderation, people. I was told by my great aunt that eating chicken feet kept her from having arthritis. Actually that doesn't surprise me! Chicken feet are full of calcium and great for our bones and joints. In fact, I buy dehydrated chicken feet for my dogs...they are an all natural healthy treat and I should be eating them as well! Yes, when I can get them, I make chicken stock out of them. They are healthy. Our grandmothers and great aunts were wise. When our learned 'researchers' tell me this or that 'may' be good or bad for me, 'may' prevent me from getting this or that, etc., I pretty well ignore what they are informing me about. I do have an equivalent, I have been a fairly heavy drinker for most of my life, this may? have prevented me from acquiring arthritis. sounds kinda fishy to me ! Personally, I'd rather go the leaner fish route. Frozen Haddock, an ocean fish in the "whitefish" category, is low in mercury (half of low-mercury tuna) and lean at 20 Calories per ounce. I can get frozen, boneless filets at Walmart in "12 oz" packages that are always 14+ oz. for $3.98 so that 2 packages produce 3 9 oz.+ portions, each less than 200 Calories. Farm raised Tilapia is $3/lb or less on sale, but the filets are much thinner with less texture than Haddock – but still goo whitefish! Does counting Calories work? I've lost 45 lbs in 9 months doing it. i don't believe this is entirely true, and there are other factors associated with RA, such as wheat or gluten. btw, eating more fatty fishes means taking in more mercury pollutant in fishes, which won't help one's health. getting rid of wheat or gluten in diet could do just as well or better than just eating fishes. Even though Wolk states that taking fish oil supplements do not have any benefit over eating actual fish for rheumatoid arthritis – some studies have already researched this topic. Some systematic reviews and meta-analyses can be found on Natural Standard database. There is already strong evidence supporting fish oil and its link to helping prevent rheumatoid arthritis but it might also be nice to do more research comparing the supplement to eating actual fish. TORTURES SUITS SOLD TO POLITICS. BRAIN DESTRUCTION CASES, CELULAR DEAD. CITIZENS SELL TO HUMAN RACE STUDIES. OBAMA, HARPER, SANTOS, KIRSHNER KFC MONSANTO, RUSEF, SPAIN KING, MERKEL, THE QUEEN OF ENGLAND. Good article! I think this article underscores the importance that a proper diet can have on preventing disease and keeping us healthy. However, many people are not equipped with the information they need in order to make healthy lifestyle choices. This where doctors and technology can come in. Forward-thinking providers that understand that engaging patients between office visits via the use of high-tech messaging can make a big impact in empowering patients to better manage their health. WE HAVE TO MAKE AN INVESTIGATION IN ALL DRUGS. WILL YOU DO WHEN YOU DO THIS TO YOUR CHILDREN. SCIENCE FICTION CUNADO MILLION CASES HAVE CEREBRAL DESTRUCTION. NEW PAGE FOR SERIAL CRIMINALS THAT WE HAVE COMPLAINED OF COUNTRIES PAGE SUSPENDED. THE REASON THE CONTENT IS REALITY. WHY WOULD AN AGENCY IS TO REMOVE TAKE A PAGE MOLETIA SRs. FROM CNN. GIVES NO FEAR THAT HANDLED WITH NANO TECHNOLOGY. BY LES STRIKE WHEN THE VICTIMS hypothalamus, GENETIC DAMAGE OCCURS MANY. BUT THESE COMPANIES THAT PRODUCE SUCH DRUGS INCLUDE NANO NANO PARTICLES AS COMPUTERS. Interesting article. It's always nice to read articles that reaffirm the health benefits of omega fatty acids. Although this study does seem promising, I would be more hesitant to state that fish would be beneficial for rheumatoid arthritis. Despite the fact that other lifestyle factors such as smoking and alcohol were accounted for, the study does not take into account the variability in diet between the different patients. There could be many other contributors in the subjects' diets causing the effect on rheumatoid arthritis. 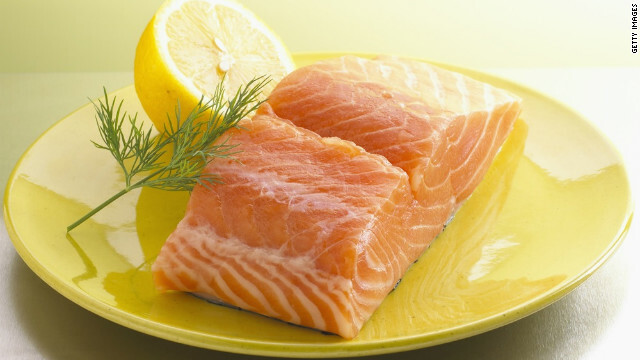 Eating fatty fish may help prevent arthritis, consuming one serving of fatty fish, such as salmon or four servings of a leaner fish, such as cod, each week can lower your risks of developing rheumatoid arthritis by 50%.Omega-3 fatty acids may have an anti-inflammatory protective effect on the human immune system. Doctors recommend that people add at least two servings of seafood to their weekly diet to aid in overall health. The finding of this study is very interesting but there are so many variables to consider. Since it was only based on a questionnaire that spanned through ten years the recall may be off. There are also many other lifestyle factors that could play a role in the results. Since there was no control and it was purely based on a questionnaire the results need to be taken with a grain of salt. Fish has been shown to have a number of beneficial properties. On Natural Standard herbal database fish oil is listed as evidence grade A in the treatment of rheumatoid arthritis. It would be interesting to see if this grade is due to its affects on prevention or treatment of rheumatoid arthritis.